Industries that use pumps, seals and pipes will also use valves and actuators in their systems. 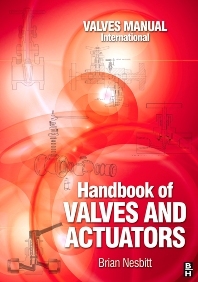 This key reference provides anyone who designs, uses, specifies or maintains valves and valve systems with all of the critical design, specification, performance and operational information they need for the job in hand. Brian Nesbitt is a well-known consultant with a considerable publishing record. A lifetime of experience backs up the huge amount of practical detail in this volume.